The islands of the Comoros and Madagascar harbour the last dugong populations in the South West Indian Ocean Islands. However, these populations are currently unstudied, apart from work in the Comoros co-funded by the CLP. The Convention on Migratory Species (CMS) has recently established a MoU for the international protection of the species, to which both Comoros and Madagascar are among the first signatories. 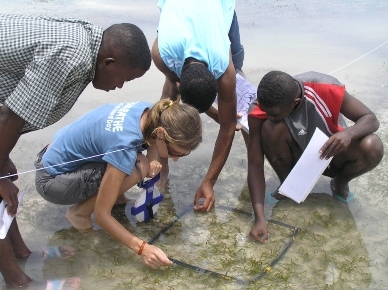 This work aims to capitalize on this strong political commitment to dugong conservation in both countries to train a network of dugong experts, raise local awareness and gather preliminary information on dugongs and their habitat in north west Madagascar (probably the largest but least studied population in the region) using low-cost, sustainable research techniques to compile National Dugong Conservation Action Plans.